Payment: We accept credit cards and cash. Make an appointment today! We also accept walk-ins. 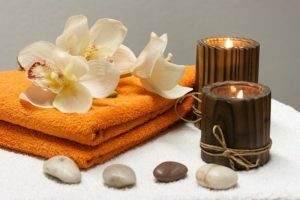 Our massage specialists are here to provide top of the line massage therapy sessions to all residents of Richmond, Virginia. It is our goal to be able to provide you with the best service possible. Every therapist is here to listen to your needs and provide techniques that will alleviate your ailments and pain. We invite you to relax in our soothing shower spa. 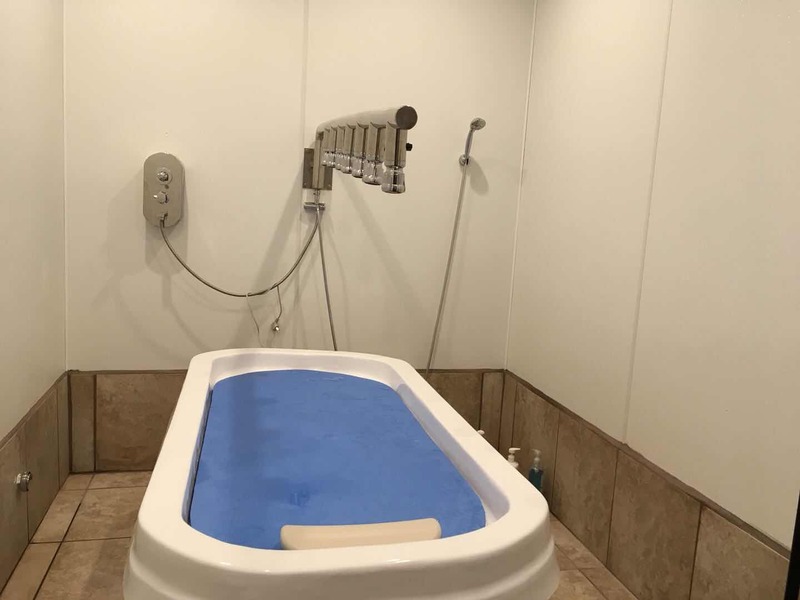 Our pressured water rinsing system helps to massage your muscles. Relieve pain and stiffness in your neck and shoulder area by signing up for a session with our of our trained massage specialists. Experience gently soothing rain from our suspended, fully adjustable shower heads. Relax the body and mind with our sauna table and shower. These can be intensified for deep tissue massage to improve circulation. *Includes complimentary Hot Stone, Steam Sauna, Vichy Table Shower, and Scrubbing. 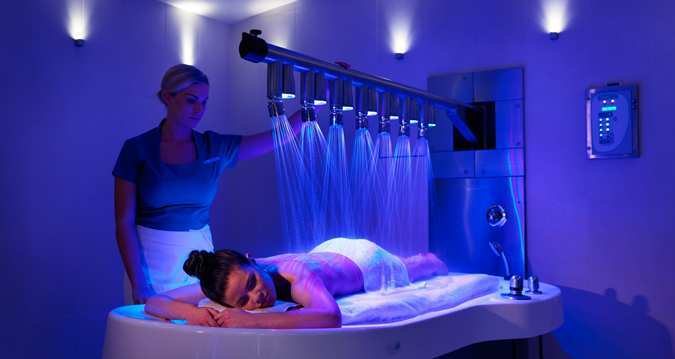 Gorgeous waterfall massage with steam sauna, vichy table shower, and scrubbing. *Both packages include complimentary hot stones, steam sauna, vichy table shower, and scrub. All women get $5 off for every visit. Offer is only valid for massage sessions over an hour. Massage has many health benefits that include both mental and physical. Our clients generally experience an increase in blood flow, flexibility, reduction in stress, and our course a newfound sense of relaxation. We are happy to be able to serve the Richmond area 7 days a week. Walk-in customers are always welcome, to help ensure availability we encourage you to call ahead and schedule an appointment. Gentle soothing rain falls from our suspended, fully adjustable shower heads. Relaxing the body, mind, and spirit. While custom blended aromatherapy oils are diffused in the steam to cleanse your respiratory system. Hydro-therapeutic jets can be intensified for deep tissue massage and improved circulation. We suggest this service before a massage to enhance deep relaxation. Wonderful, deep tissue massage! This is not where you go if you were looking for a fluffy Swedish massage. The massage therapist at this location are very talented in deep tissue massage. It is definitely not a relaxing time for the customer, when you walk out the door you feel immediately and immensely better and it is well worth it! She is the best that there is! I would definitely recommend to anybody looking for therapeutic massage. I have had the privilege of working with the owner on a professional level. I can tell the amount of dedication and hard work they have put in their business. If you are looking for a great massage at a great price I would highly recommend XF Massage. I visited XF a few days ago. I like their Vicky shower and the massage. Clean and pleasant atmosphere. Check it out!